The art of the agile organization is collaboration. In other words, teamwork is essential. Between the individual members of our in-house digital project teams, and with our clients and Product Owners, teamwork is the foundation for a successful, quality product. So, it should be no surprise that we take great care in how we put our teams together, tailoring each unit’s experience and capabilities to create the perfect mix for each project, and for each project phase. When it comes to digital product prototyping, both a specific skill set and mindset are necessary. The prototyping team’s function is to analyze your product concept and business goals, ideate the product with you, create low-fidelity or high-fidelity prototypes, and use the reactions of customers to the prototyping to explore the basic product assumptions. All of which allows the team to go on to build the best possible minimum viable product (MVP). They use a variety of methods, including design thinking and design sprints. Quick context: What is digital product prototyping? Prototyping is the first test of your product idea with users. The prototype is a presentation to potential users and customers in order to get a reaction. That prototype may be barely functional, it may be a façade of a product, and it may not resemble the eventual final product at all. In general, prototypes can come in many forms (including paper, video, digital…) but with Boldare’s focus on digital product development, when we do create a prototype, it almost always has some kind of digital presence or format. A way of better understanding the proposed product. The first ‘real-world’ test for your product concept. Minimizing the risk of failure in the long run. Tackling real customer needs, with empathy, in an innovative way. Conducting small experiments and tests. 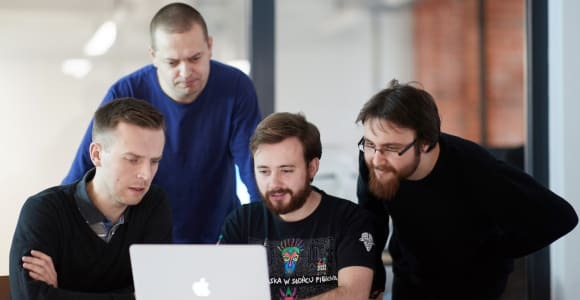 Each prototyping team is a unique blend of skills, knowledge and experience, created to fit the requirements of the project, as discussed with the client. In light of the roles listed above, this usually means a mix of various prototyping techniques (including Design Thinking, Wireframing), KISS techniques (Keep it Simple Stupid), Business analysis, and numerous testing methods and tools. People who have already worked together – Familiarity within a team is a key driver of performance and at Boldare, we always include at least two team members who have been colleagues on a previous project. This familiarity can make the forming and storming stages of the team development process much easier (and shorter). From day one, our teams deliver real value. 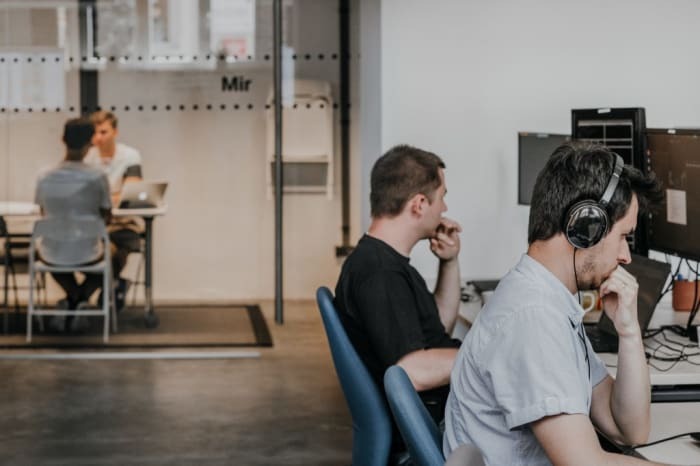 Highly skilled people – Each team has a balance of complementary soft and hard skills, including self-organization so that both individually and as a team, people work flexibly and with responsibility. Mixed seniority – We find that a combination of experience and fresh perspective makes for the perfect team. When prototyping, we bring both to the table for the client. ‘Culture’ is a fancy way of saying, how we do things around here. Every team has one and it should be a perfect balance of the individuals who make up that team and the needs of the project. A team’s culture can be seen in how its members work together, how they collaborate with the client, and in the outputs that they produce. The one element that takes more of a backseat in this phase of the lean startup approach is product quality. Because we’re not making a product, we’re making a prototype. And a digital prototype sometimes only needs the appearance of a product in order to test an idea, concept or hypothesis. Having clarified the underlying concept, needs and business goals, the prototype is the first step into the external world for the project. By drawing on the outputs of the Product Workshop, the prototyping team follow the lean startup principle of build-measure-learn to test and refine your ideas and turn them into a testable design. The team then applies its expert skills and knowledge to the customer reactions to the prototype to further support the development process, ready for the next stage. 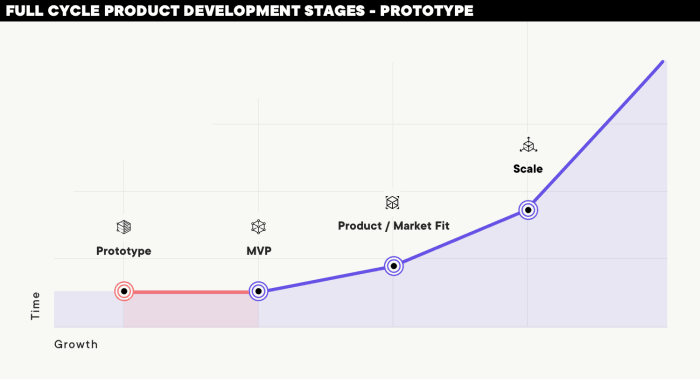 They bridge the gap between the Product Workshop and creating the MVP – the gap between ideas and a functioning product – and lay the practical foundations for a successful product. At the beginning of the project, well-known carpooling platform, BlaBlaCar had 24 million users and an enviable position in the marketplace. However, the goal was to expand into 27 new countries, each with their own unique legal and cultural requirements, while also expanding the design of the company’s app with new and improved features. What BlaBlaCar was lacking was an agile, self-organizing in-house development team. The longer-term strategy involved establishing a development center in Warsaw. However, BlaBlaCar knew that it would take too long to recruit, onboard and train a new development team and was looking for a readymade external team that could work closely with the company. Quick reaction times and fast work (the team was ready to start within two weeks). An already high-performing unit that could become a full-time extension of their own team. Skilled developers and product designers (each individual was interviewed separately by the client). Similar organizational DNA (in this case, a mature company but with a startup culture built on trust, accountability, knowledge-sharing and teamwork). 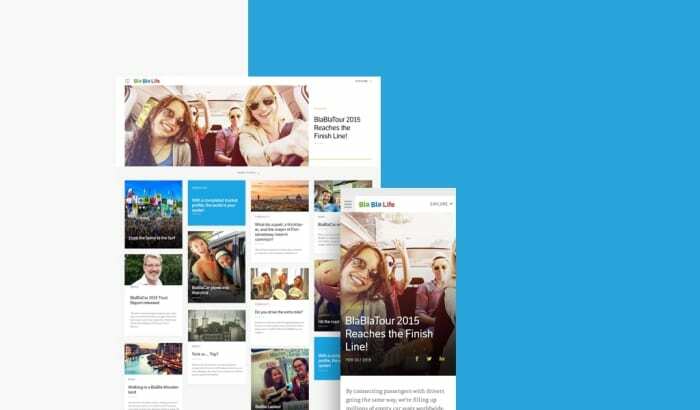 Implementing a prototyping approach based on collaboration and transparency, the Boldare team created 10 new digital products for BlaBlaCar, enhancing the customer offering and now the company is market leader in its chosen regions, having boosted membership from 24 to 35 million users. Prototyping is a key element of our lean product development process here at Boldare. We have experience with producing a wide variety of prototypes, depending on the element of the project we are testing. Our prototyping teams are chosen for their specific skill sets and experience, according to the project needs. 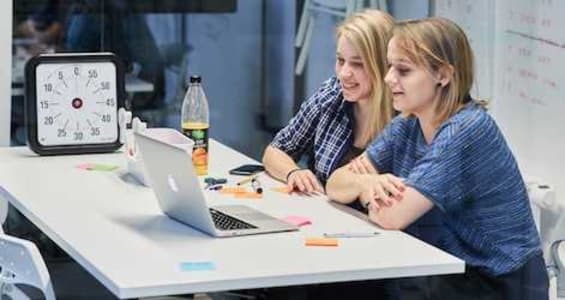 Our culture of teamwork encourages the right application of those skills and experience, and also ensures close collaboration with the client throughout the prototyping phase.